UPDATE: Looks like it's not happening today. Sorry for the misinformation. According to Co-Optimus community member Engineer Seven, True Achievements, and this page on the official Xbox site, Monaco: What's Yours is Mine will be available for download on April 26th. That's today, for those of you who don't have a calendar handy. Now you'll be able to get your co-op crime on with three of your closest friends on a 360 console. Well, not now. Later today, probably. Whenever the XBLA updates. Unless those three sources are wrong. If they turn out to be incorrect I'll deal with them harshly. 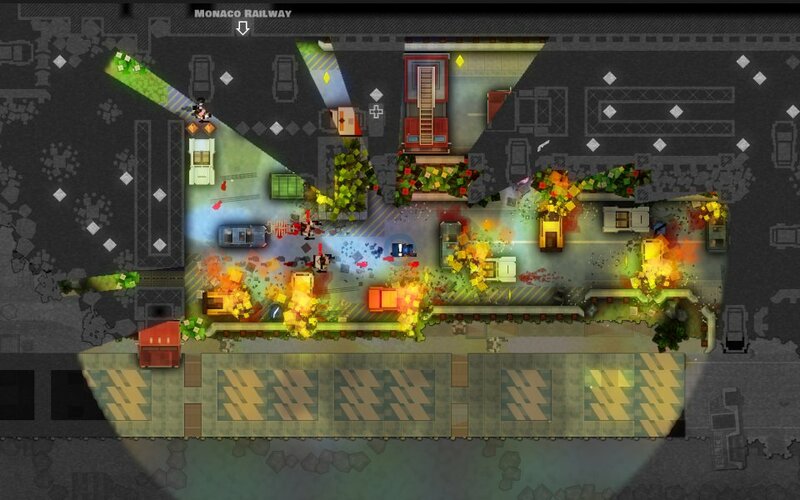 The stealthy heist caper was delayed on the 360 after launching for the PC on Wednesday. It was supposed to launch simultaneously on the console, but hey, stuff happens. Our own Jason Love (and several other staff members) simply adore this game. He awarded Monaco our extremely sought after "Editor's Choice" designation in his Co-Op Review. This may be the first game to earn Co-Optimus's coveted accolade this year. It's Friday, so I'm too lazy to look it up. Monaco: What's Yours is Mine supports four player local co-op and four player online co-op. It's priced at $14.99 on Steam, so it will probably be going for 1200 MSP on 360. Hopefully you'll be able to find out for yourself later today.